Juniors - How to Join :: Liphook is a traditional golf club with one of the best courses in the country. Opened in 1923, the course was soon recognised by the R&A as an exemplary inland heathland course and is also an early example of strategic design for golf courses. You do not have to be eight years old to be placed on the Waiting List, as some people think. You do however have to be eight or older on July 1st in a given year to become a junior member. You can get a Junior Application Form from the Secretary's office; when you have filled it in, send it to me, Chris Barfield, Junior Organiser, and on receipt I shall contact you. Depending on whether we have immediate places available you will either be invited to meet me at the Club in order to finalise your registration as a Liphook Junior or you will be placed on the Junior Waiting List. 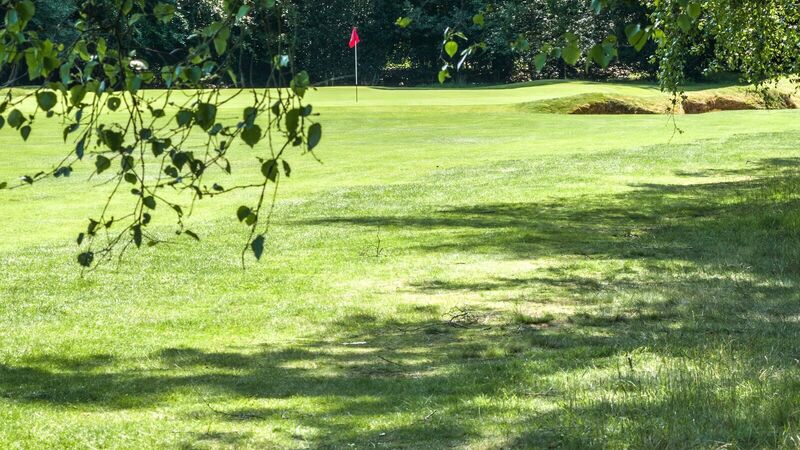 You may contact me at any time at juniors@liphookgolfclub.com . Some on the Waiting List (generally related to full members, or with friends who are already junior members) have asked if they can join in the free coaching which Ian Mowbray and Martin Johnson provide before the weekly Stableford competitions in the spring and summer holidays. The answer is, I am afraid, "no" for a number of reasons, including insurance. However, Ian has agreed that his assistant, Martin will give lessons to the "Waiting List" as a group, on dates to be agreed in the spring and summer holidays. He can also assess the level of your golfing ability and potential and complete part two of your application form to save time later. Because those on the Waiting List are not technically members of Liphook GC a nominal fee is charged for legal reasons. If, upon application, you are placed on the Waiting List, you should contact Martin Johnson directly to arrange the details.